Hollywood had created Tony Soprano but until now New Yorkers had failed to notice the rise of Albanian crime families, bearing names such as Fat Ange, Juicehead and Doc. FOR several years, observers of New York crime have been lamenting the decline of the Italian Mafia. New Yorkers still delighted in the arrests of men known as Vinny Carwash and Tony Bagels, yet the colourful Mob seemed a fading force. Now, however, the authorities are dealing with another international crime organisation. Its alleged leader in America is said to be known as Doc, he has a nephew known as Juicehead and an associate called Big Brian, who helped to smuggle large quantities of cocaine hidden in secret compartments inside luxury cars, according to court papers. According to a bail letter submitted to a federal judge, Fat Ange supplied prescription painkillers, diverted from clinics in Florida, while Frank Netti, Lucky, Jimmy, Paddy and Tony G were involved in distribution. The court documents describe an organisation of immigrant families with a code of honour, strong ties to the homeland and a record of ruthless violence. It looked like the Mafia of old, but for one crucial detail. All its members were Albanians: Doc was identified as Gjavit Thaqi, Juicehead was Shkelqim Bakraqi. One of its alleged leaders, Arif Kurti, (known as Arty, Nino or The Bear), was said to be directing operations and arranging introductions from a prison cell in Albania. Thirty-seven alleged members of this organisation were arrested last week in New York, New Jersey, Colorado and Florida. "The syndicate comprises several interrelated ethnic Albanian family clans known as fis," a spokesman for the district attorney's office said in a statement. For more than a decade, it was alleged to have imported tonnes of marijuana from Canada and Mexico, hundreds of kilograms of cocaine from South America, and dealt in large quantities of prescription pills. Three members of the syndicate were alleged to have pistol-whipped and shot at a supposed police informer, but were acquitted "after syndicate members threatened the victim, who disappeared before he was expected to testify at trial", court papers said. Frank DiMatteo, the publisher of Mob Candy magazine, said that the rise of Albanian mobsters "had been going on for years already" but had received relatively little attention. 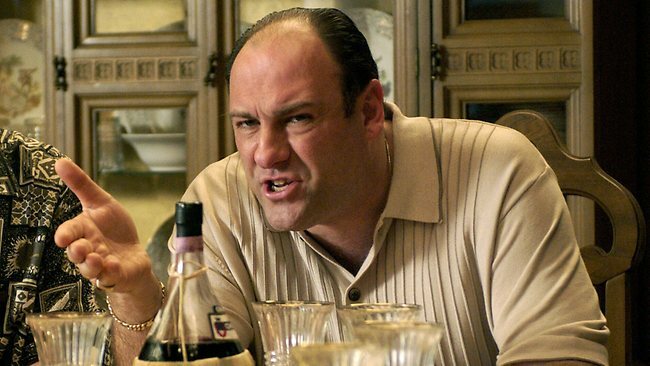 Hollywood had created Tony Soprano, but had failed to give the world a Toni Sapunxiu, he said.